Graphical tools like AutoCAD (Software) (computer-aided drafting) provides the facility to draw the detailed drawings of projects. 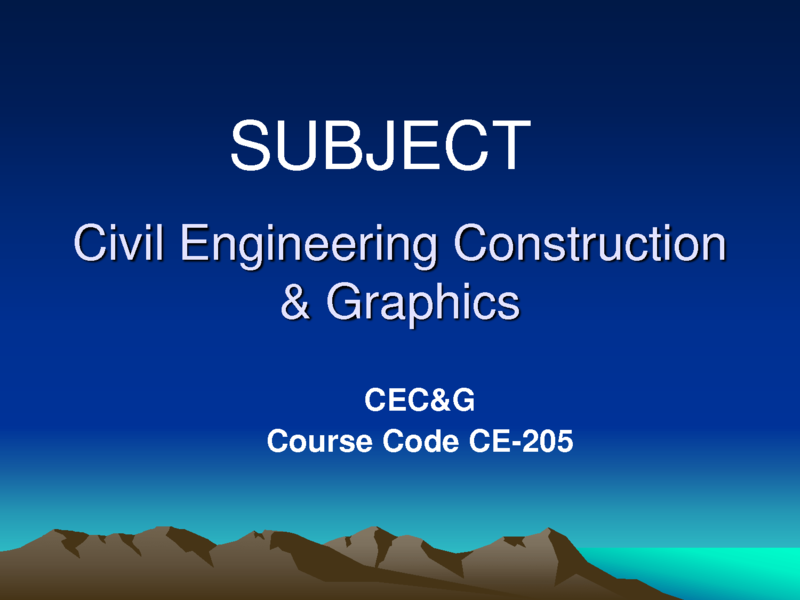 Following Presentations / slides help civil engineering students to understand about the subject and enhance their knowledge. This site is amazing.. can you please upload some plans for 4 marla house. I don’t know the exact width and length but its in rectangle shape.. and I want car porch on the entrance and it should have ground floor, first floor, second flour. Atleast one bedroom on the ground floor with attached bath (6’x4′) and a kitchen and store and tv lounge and drawing room. There must be atleast 3bedroms on the first floor (if its possible.) with attached bath (6’x4′). 2bedrooms with attached bath (6’x4′) on second floor and a store(if possible).and then terrace. i need 5 marla house plan, plot size is 25*50 width 25 length 50. plot is in cda sector islamabad and according to cda rules we must leave area of 5 feet from front and 5 feet from back side of plot. i want double story house. 2nd floor same only balcony instead of lawn at 2nd floor. Civil engineering construction and graphics book ka author name kia hy ? ?